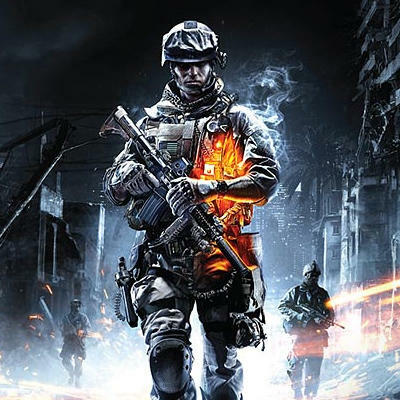 Though the title is not set to hit store shelves until fall of this year, publisher Electronic Arts has already started to heavily market its much-anticipated first-person shooter, Battlefield 3. During the month of March, EA began to release snippets of gameplay in a series entitled Fault Line. Despite the fact that the software hasn't even reached the status of alpha, the video miniseries has displayed extremely impressive graphics, sound, and action. Developed by DICE and running on a completely revamped engine, the game has already been met with praise for its apparent graphical capabilities. By utilizing EA's vast network of developers, the Swedish game maker was able to make use of the fluid animation system of Madden NFL Football, which adds an insane level of realism. Frostbite 2.0, whose predecessor was well-known for introducing destructible environments, has seen noticeable upgrades, most of which have to do with an enhanced lighting system that draws out contrasts in a significantly more dramatic fashion. Taking place near the Iraqi-Iranian border in the near future, Fault Line follows a group of US Marines that were deployed to pacify the tumult in the region, specifically suppressing a insurgent organization known as the PLR. Historically, this area has been known for its large earthquakes due to its proximity to a fault line, hence the title and sporadic shakes during the video, which is viewable above. Whether it be gunning down rebels with a light machine gun or moving cover-to-cover to avoid sniper fire, Battlefield 3 is already showing signs of great diversification and pacing. Some of the higher-ups at Electronic Arts and DICE have drawn criticism for boasting about the title, claiming it will be the next Call of Duty. Whether or not the title will see the massive sales of such a franchise is yet to be determined, but until then one can rest assured that the meticulous experience that DICE is crafting will be well worth the many months of waiting left to come. To view previous installments in the Fault Line series, feel free to click the links below. What do you, first-person fanboys and gamers, believe? Will Battlefield 3 be able to compete with Activision's massively succesful Call of Duty franchise? Are there any specific features you're looking forward to? Sound off in the comments below.